As one of my favorite films is Roman Holiday (featuring a dashing Gregory Peck and a gamine Audrey Hepburn), I have always dreamed of embarking on a little Roman Holiday of my own. 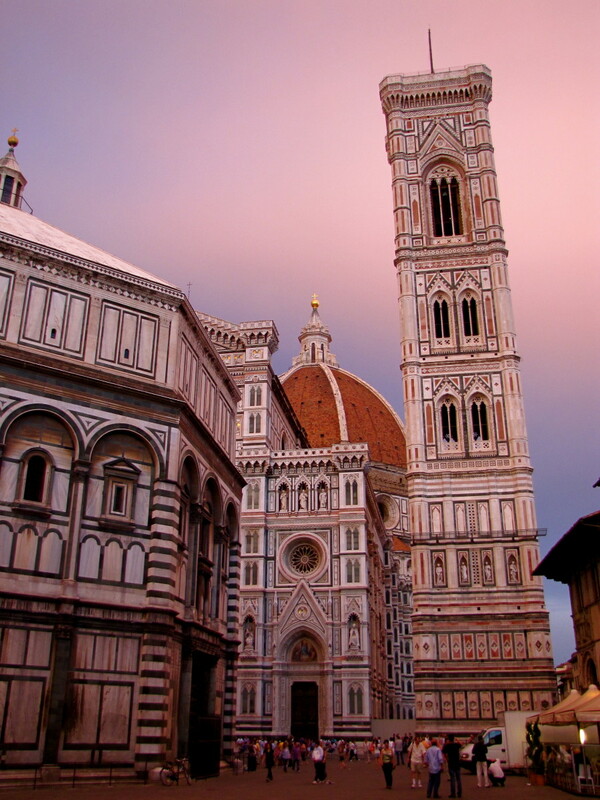 When I finally had the opportunity to visit this Italian city, I knew I had to see for myself all the landmarks Princess Ann and reporter Joe Bradley stumbled upon over the course of their beautiful, romantic adventure. Should you be a fan of this film as well, I strongly recommend visiting the major Roman Holiday movie sights the next time you stop by Rome. It is easy to see most of them within the span of one day—no special transportation or guide required. I'll guide you through each location and show you what I saw, plus offer tips on making your experience more authentic. Let us begin! Not too far from Rome's charming Trastevere neighborhood, the Basilica di Santa Maria in Cosmedin plays host to the famous The Mouth of Truth, into which Gregory Peck stuck his hand, pretended to have lost it, and gave Audrey Hepburn a royal fright (that's right—the actress herself did not know Gregory Peck had hid his hand up his sleeve; she was legitimately surprised). Don't know about the Mouth of Truth? 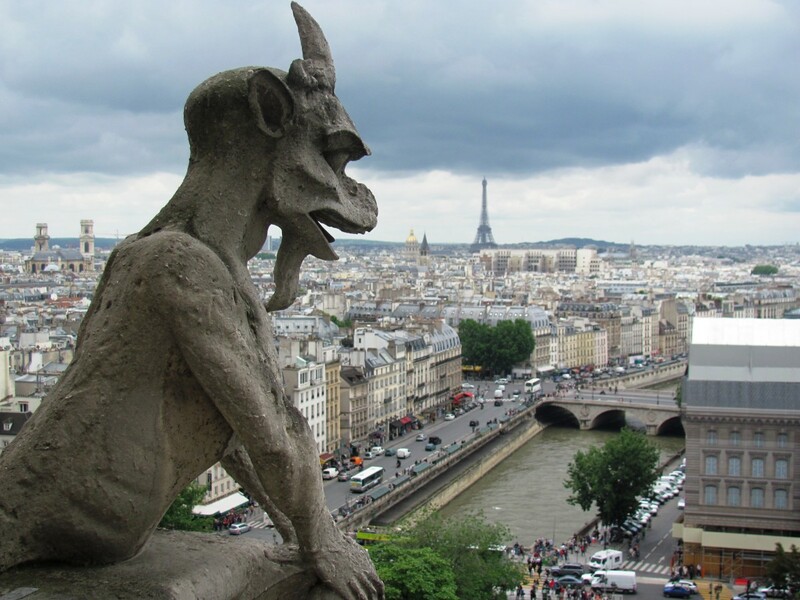 Legend has it that it will bite off the hand of liars daring enough to slip their fingers between its lips. Alas, the sculpture appears to be defective, as your sinister author inserted her hands multiple times only to find a somewhat disappointing preponderance of blood and gore on her retrieved extremity. 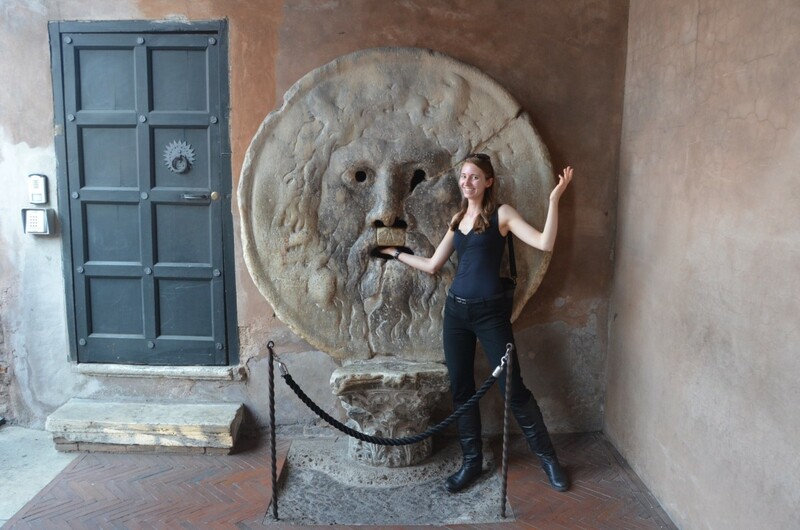 Though the Mouth of Truth was very famous before Roman Holiday came out, the movie definitely blasted it to fame- enough so that there is a long line of tourists waiting to have their pictures taken on the famous film sight. What I find particularly entertaining about this particular crowd of tourists is that they are more likely to be die-hard Audrey Hepburn fans than the typical mix. One might also notice that this spot has the highest density of single, female, fashionable, and young Japanese tourists in all of Rome. 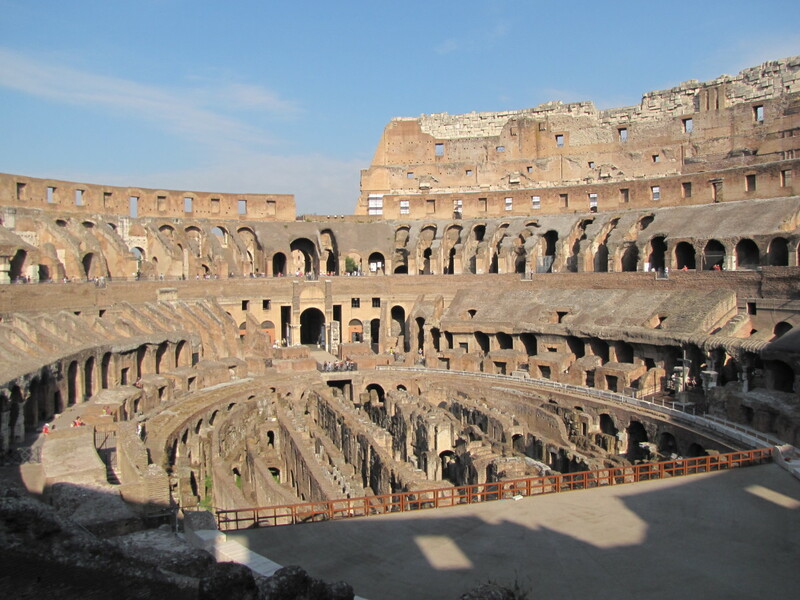 Conveniently located near the Colosseum and Roman Forum, the Basilica is a must-see Roman Holiday sight! After having your picture taken with the Mouth of Truth, it is well worth your time to stroll through the basilica itself. Originally built in the 6th century, this beautiful church was reconstructed in 1124 and given a new facade in the 1700s. Its interior is peaceful and spare, with plenty of open space. Because it is a church, one is expected to dress modestly within its premises, so try to keep your knees and shoulders covered. When I visited, my highly sexually provocative shoulders (yeah, have a look, fellas!) were exposed, and so I was given a disposable shawl to wear. Most churches turn strumpets like me away, so I was very honored to come across a church that was so tolerant and accommodating. 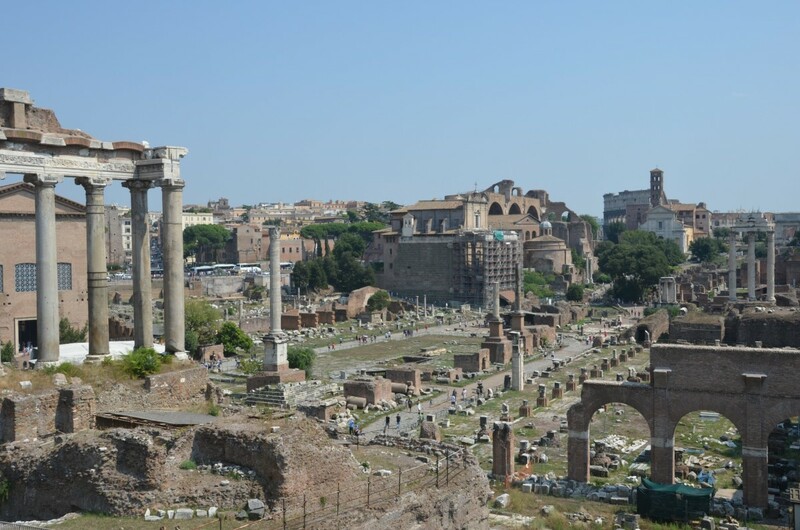 Not too far from the Basilica di Santa Maria in Cosmedin is the Roman Forum, where Joe first encounters a very drugged and very sleepy Princess Ann. Though the characters do not spend much (if any) time wandering through the ruins (she is actually found outside the park), I do recommend purchasing a pass and wandering through this amazing place. If you just care about taking photographs of yourself at Roman Holiday movie sights, however, find yourself a stone bench near the Temple of Saturn and the Arch of Septimus Severus, pose in a sleeping position, and move on. 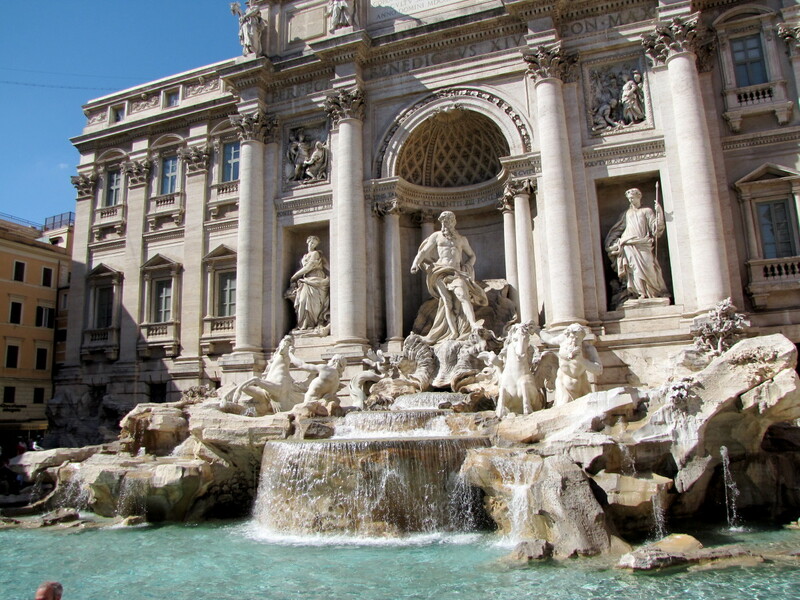 The Trevi Fountain in Rome is the centerpiece of the scene in which Princess Ann gets a chic new haircut. 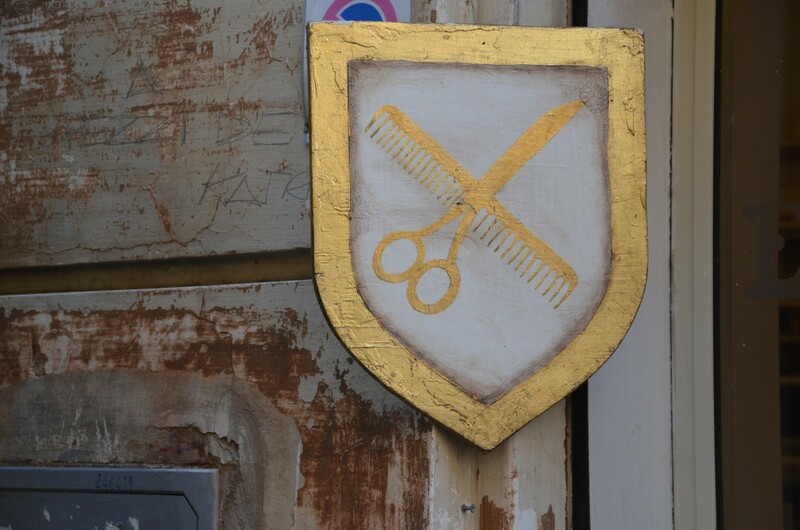 The barber shop in which she got her trim was located in a shop right off the fountain at Villa della Stamperia, which now sells leather goods. 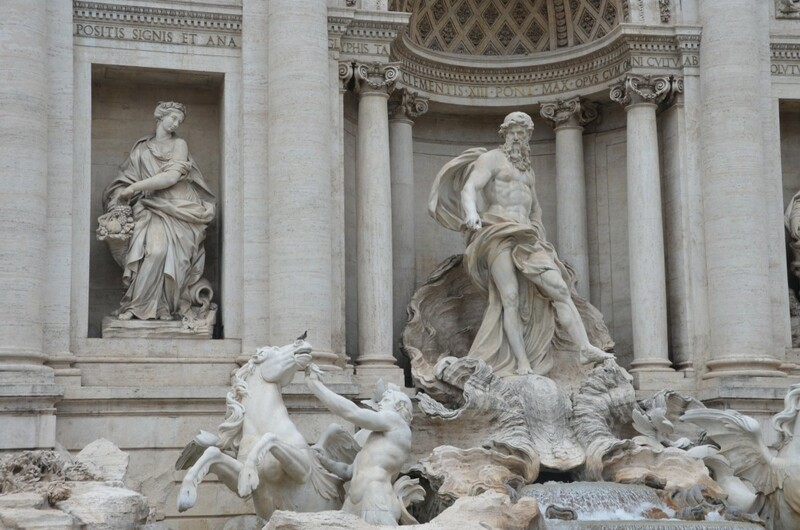 Even though the barber shop is no longer around, the Trevi Fountain is a must-see sight in Rome and one of the most beautiful Baroque fountains I have ever seen. 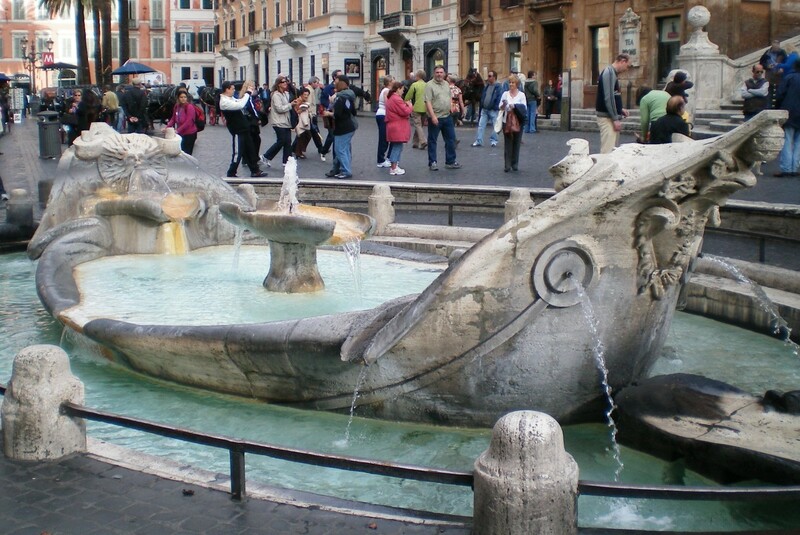 What's more, visiting the fountain gives you bonus film location sighting points, as it was featured prominently in La Dolce Vita! 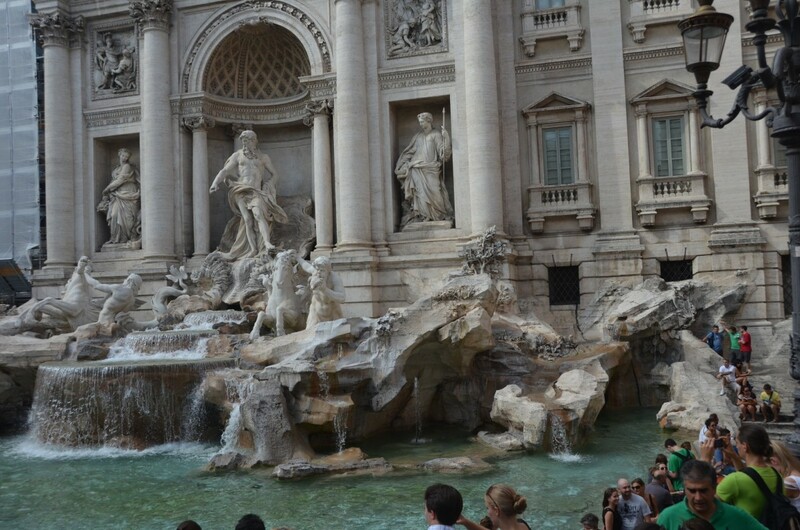 While you're at the fountain, consider tossing a coin into the flowing waters. 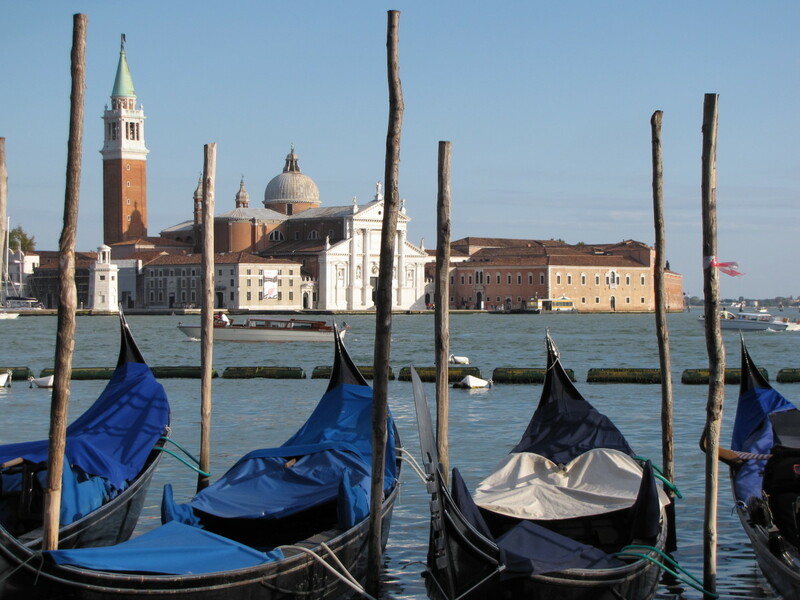 They say that if you throw a coin into the pond, you are destined to return to this romantic city. You must visit it. Period. 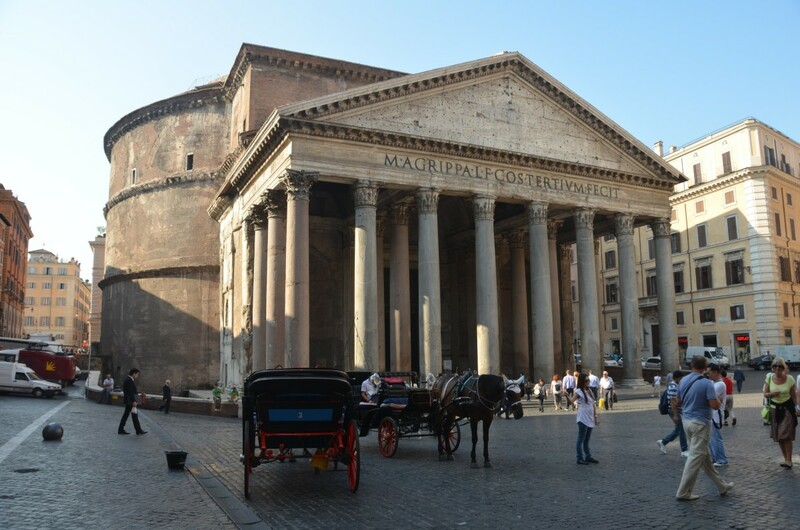 The Pantheon is another notable landmark to visit if you'd like to swing by major Roman Holiday film sights, as this piazza is where Ann and Joe meet Irving at the Rocca Cafe, and where Ann drinks champagne and smokes here first cigarette. Alas, the Rocca Cafe is no longer present (the venue is now a retail store), one can still imagine one's favorite film stars sitting at a cafe table overlooking one of the most notable temples in all of Rome. Speaking of that notable temple, you really must step inside the Pantheon when you are in the area (it is free for you to enter, after all). The Pantheon features the largest unreinforced concrete dome in the world and is so formidable and inspiring, even Michelangelo was compelled to declare that it was designed by angles. 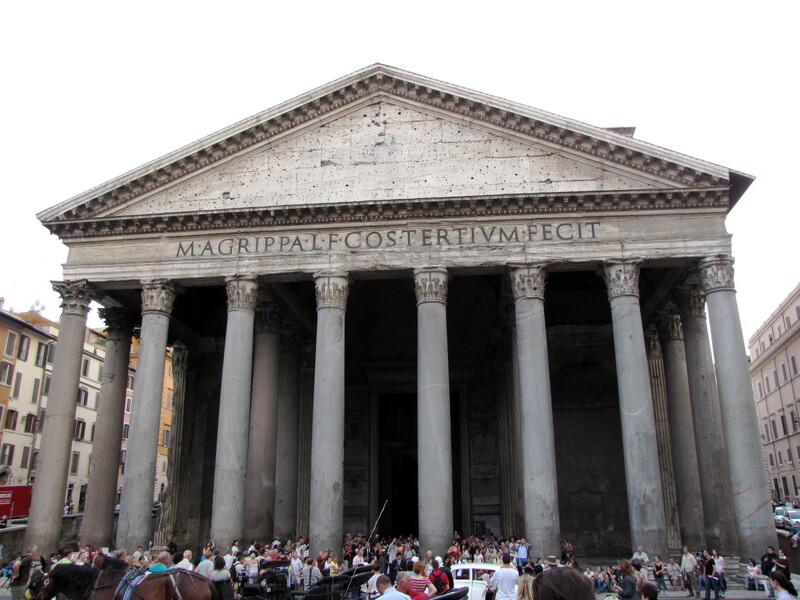 Though first created as a Roman temple devoted to all gods (Pan meaning "all" and theon meaning "gods"), the Pantheon was so inspiring, it was not torn down (like many other temples from the time), and instead turned into a Catholic church in 609 AD. 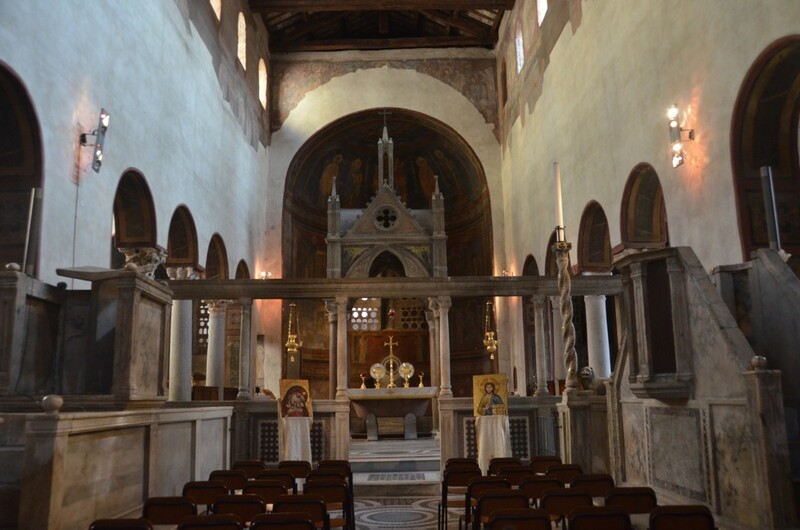 Yes, certain elements of the building were appropriated for other buildings in Rome (bronze from the Pantheon now hovers above St. Peter's tomb in the Basilica and canons for Castel Sant'Angelo), but the temple/church remains as inspiring as ever. 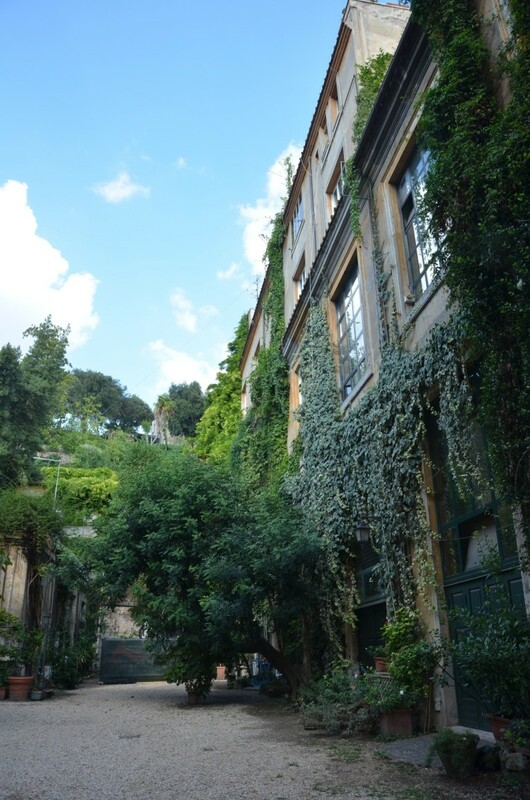 Thought outside the heart of the city, my favorite Roman Holiday film location is Joe Bradley's apartment, which can be found on Via Margutta 51. 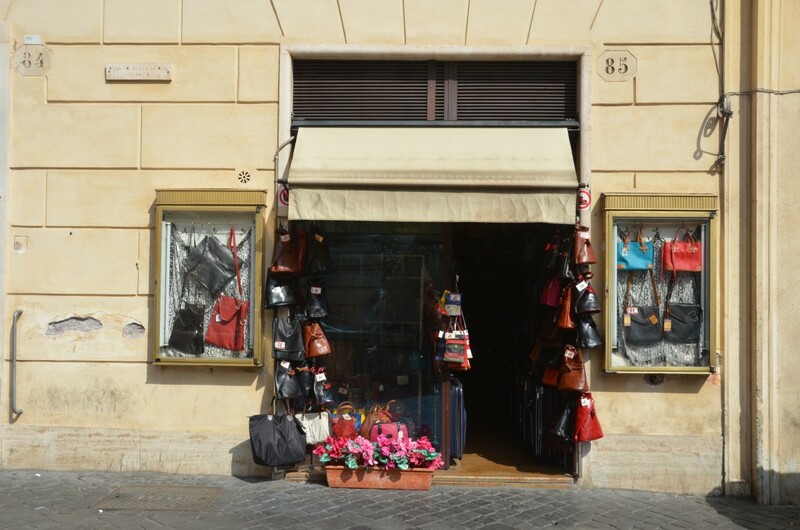 Via Margutta itself is a charming street- and in a charming neighborhood with lots of gorgeous, upscale shops. I thoroughly enjoyed window shopping and strolling along the slightly more quiet, shady streets, which were embellished with climbing vines and charmed by (most welcome) cool breezes. The apartment itself looked different from how I remembered it in the film (you know how angles can make all the difference with these things), though in the entranceway, I saw an open room full of Roman Holiday memorabilia, so I knew that I was in the right place. Honestly, the film sight itself is not one of those "Wow, I feel like I am in the movie!" places, but it is still lovely and well-worth visiting. 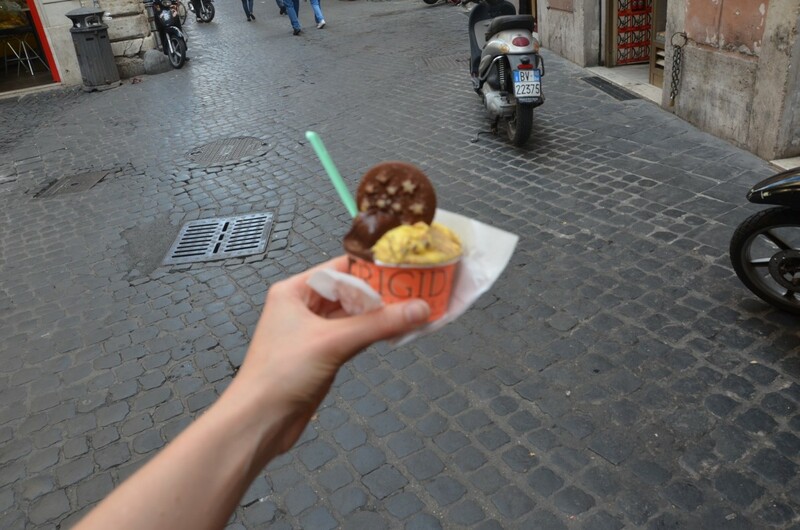 In Roman Holiday, Joe and Ann reunite at the Piazza di Spagna as Ann enjoys some gelato on the 18th Century steps. In this scene (which takes place fairly early in the movie), Ann admits to Joe that she has run away from 'school' and is taking one day off. 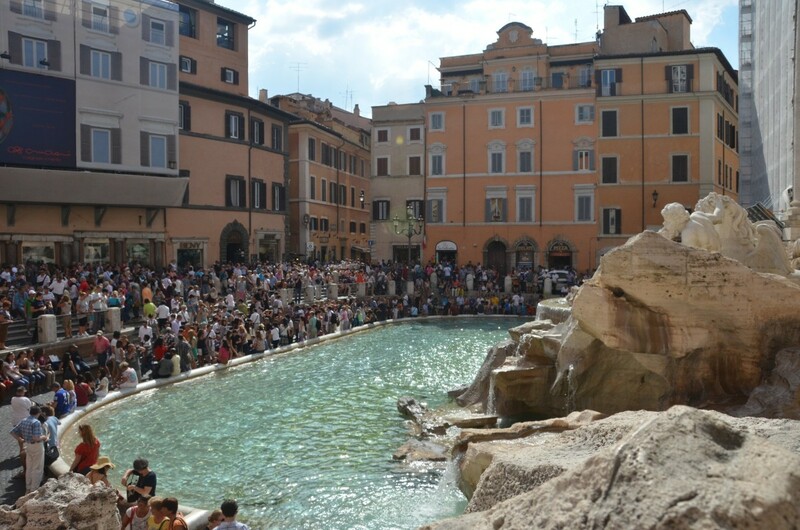 Of all the film sights from Roman Holiday that I visited, the Spanish Steps felt the most un-changed. 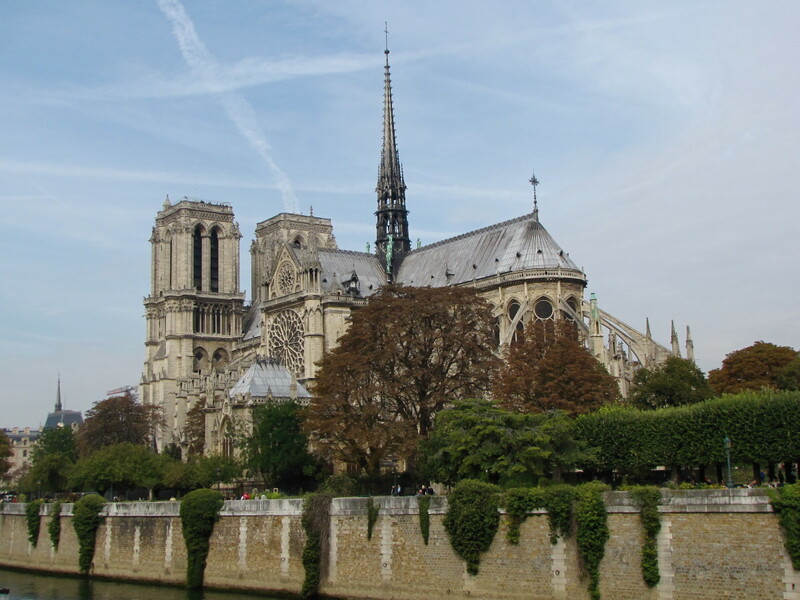 One can really see Audrey Hepburn and Gregory peck standing on those steps (that is, when one is not attempting to navigate the rather large crowds of tourists). Even if you do not care so much about this particular scene from the movie, you ought to visit this sight. 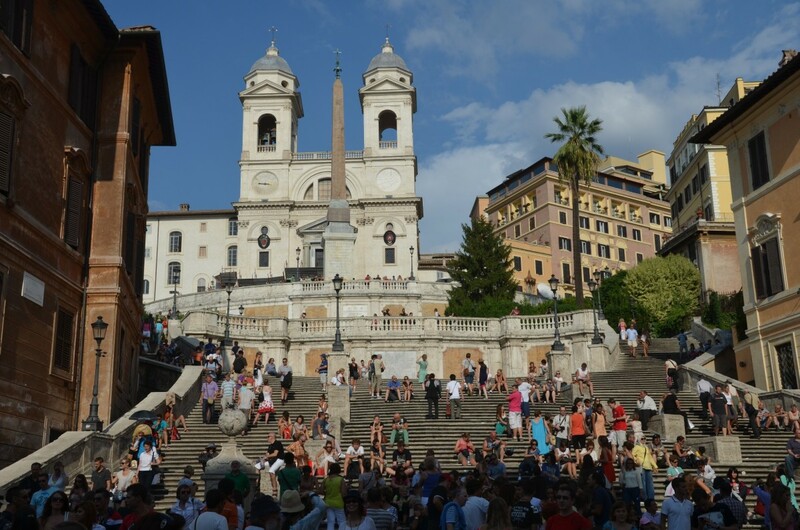 After all, in addition to being the most true-to-the-past location from the film, the Spanish Steps are the widest staircase in Europe! 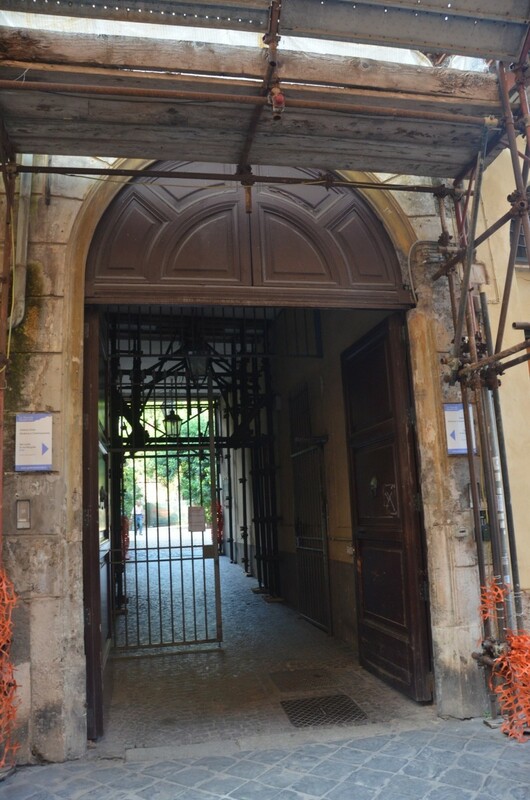 Palazzo della Consulta: This building was used in Roman Holiday as the police station to which Princess Ann was taken after an unfortunate collision between her snappy Vespa and some vendor stalls. I walked up to it. It was big. There was nothing else there. I don't think you'd miss much if you left this off your hit list. Galleria Alberto Sordi: This was the location of the American News Service Office in the film. Again, I found it, looked at it, and was not really given much inspiration Again, I think it's OK to leave this off your tour. Palazzo Colonna: This is where the final scene of Roman Holiday takes place, in which Princess Ann gives an interview to the press and meets Joe Bradley as a reporter. 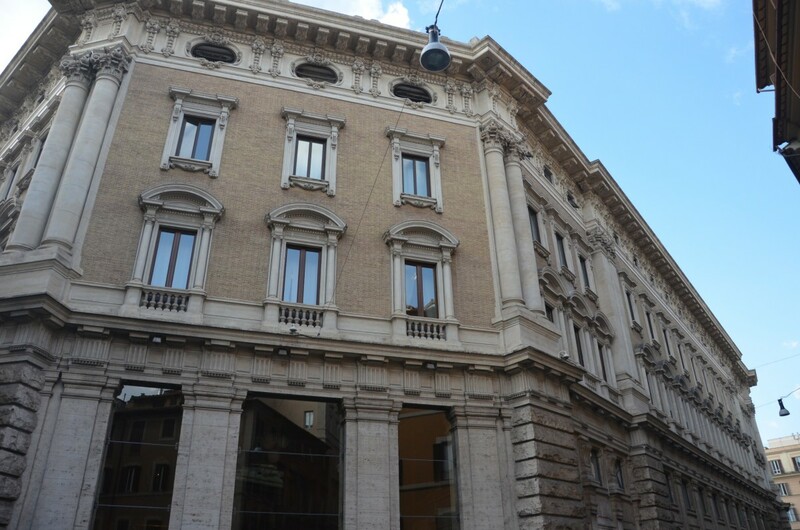 The palace is now home to the Colonna Art Gallery, which might make the opportunity to (maybe) see the Sala Grande in person worth it, but there are so many other things to see in Rome!! For the full listings and some great background on all of Roman Holiday's major film locations, I urge you to stop by the original article I referenced, by ChristineT. It is exceedingly useful. 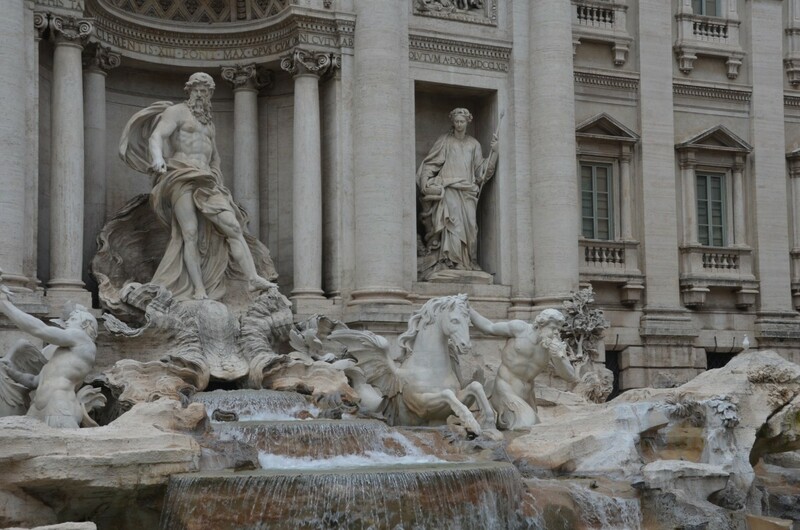 I am just about to visit Rome and how fortuitous Roman Holiday come on the Golden Years of Hollywood and yes I shall be visiting some of these beautiful sights . Great hub, Simone. I never saw the movie, but maybe I will sometime. I would love to go to Rome, too. Voted up! Tehee, indeed, quicksand! Though nobody can conquer like the Romans themselves... sigh... those brilliant bastards. Of all of the sights you showed us, I think I loved the street where Joe Bradley lived the best. It's so inside baseball. 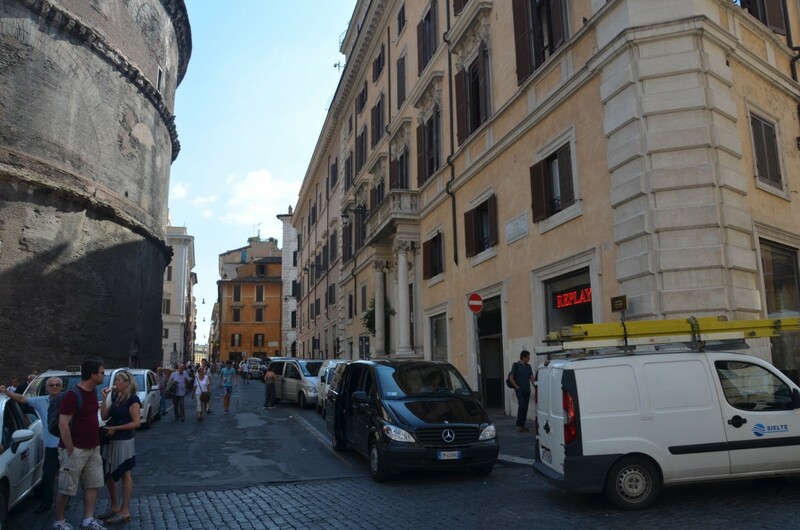 Love the way you let us see Rome, through the eyes of a movie. Beautiful and useful! What to say more! This is a great idea - Watch the movie before you visit. Not many cities are treated to such full length status as Roman Holiday. I usually come up with this idea after I visit a place. Next time in Rome I shall take your advice. Great use of photos by the way.